Laguna Beach provides some of the most beautiful views in Southern California and in my opinion one of the best spots around to do your engagement session. 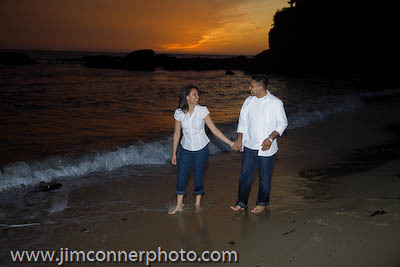 A quaint secret little beach entrusted to me by my mentor has now seen a increase in photographic activity. Elizabeth met Julio while working. 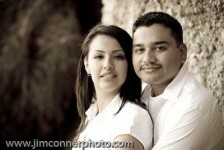 Something about her phone voice told Julio that he wanted to get to know her better. Now, they are going to be wed. 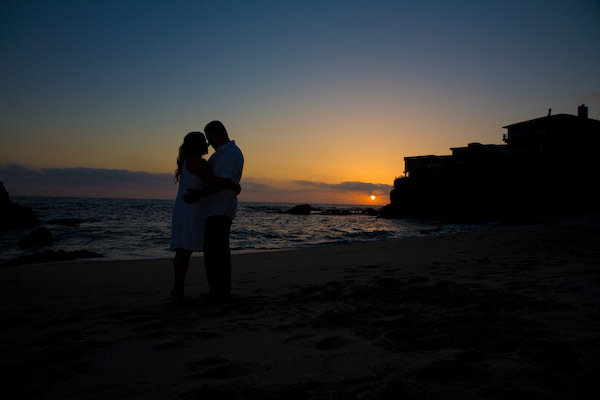 Here we see them walk hand in hand during the sunset on one of the prettiest days of the year. 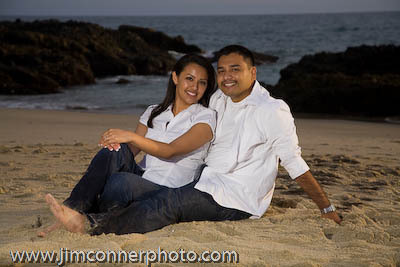 A beautiful beach, stellar day and a lovely couple come together for this Los Angeles wedding photographer. 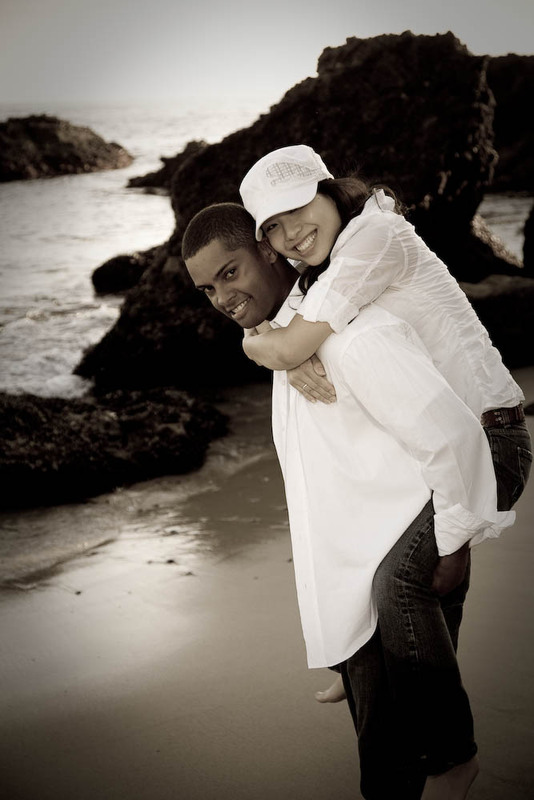 After just flying in from New York Michelle and Rob are to be wed in just a few days. 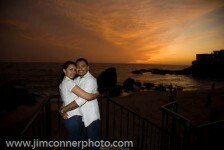 We took this opportunity to take a couple of shots for their reception. 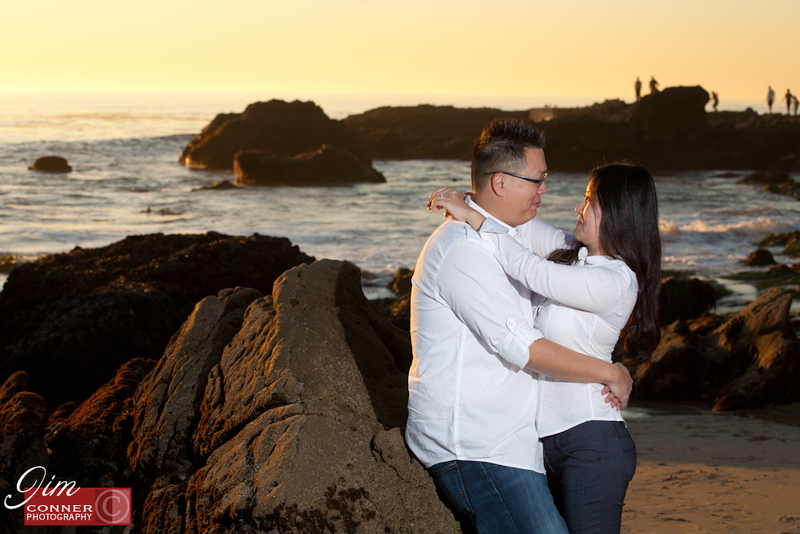 On May 31st of this year Stephanie and Daniel are to be wed. We went to a top secret local beach site I am a fan of to shoot some engagement pictures. 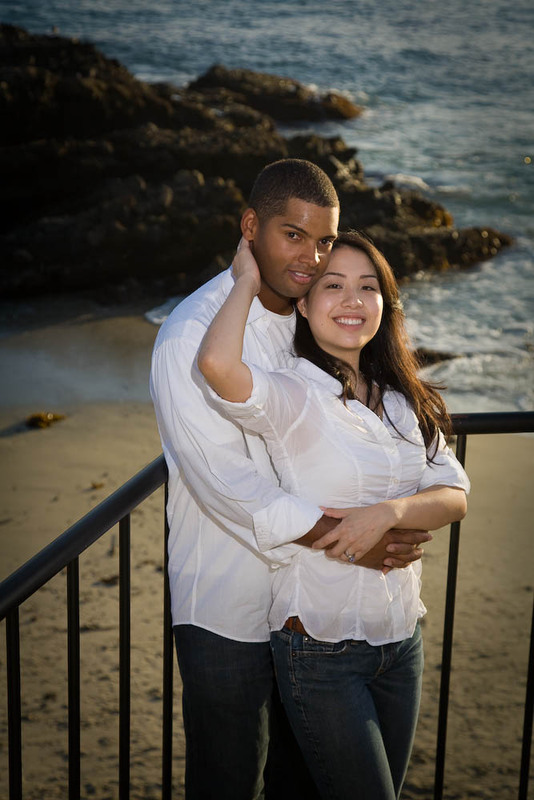 Photographically -Daniel and Stephanie missed their calling as being models. Great job! 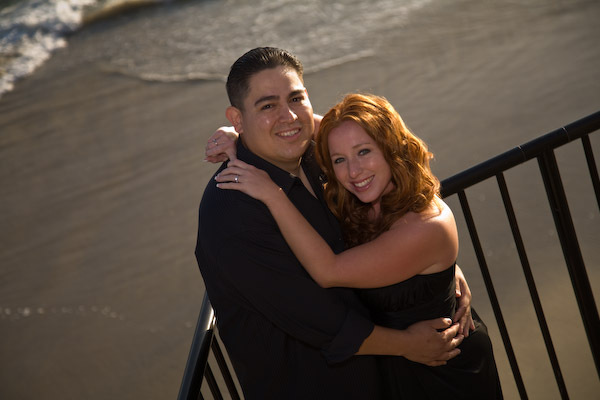 And Congratulations on the engagement. 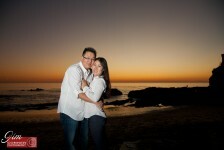 I got the chance to shoot Elizabeth Davis and Alan Piolatto. 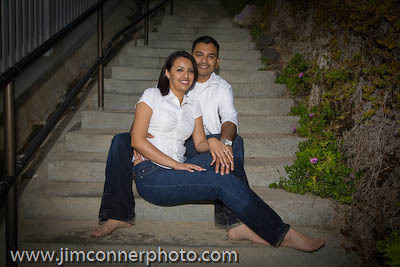 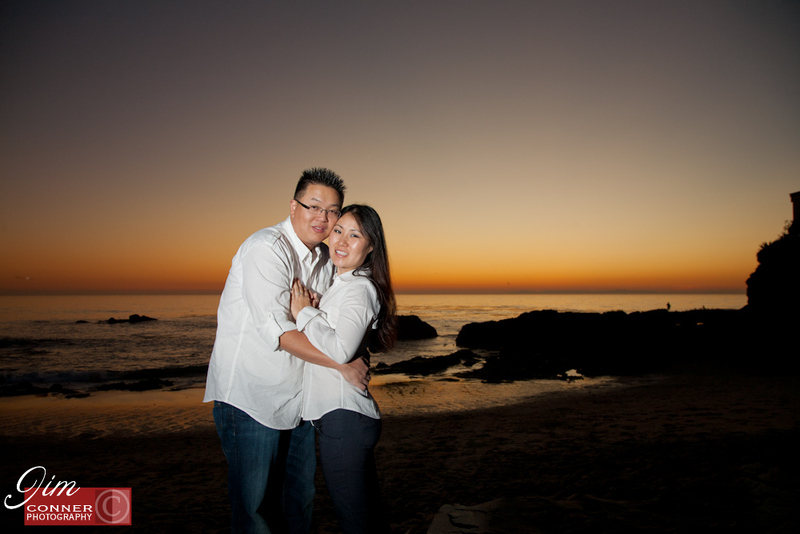 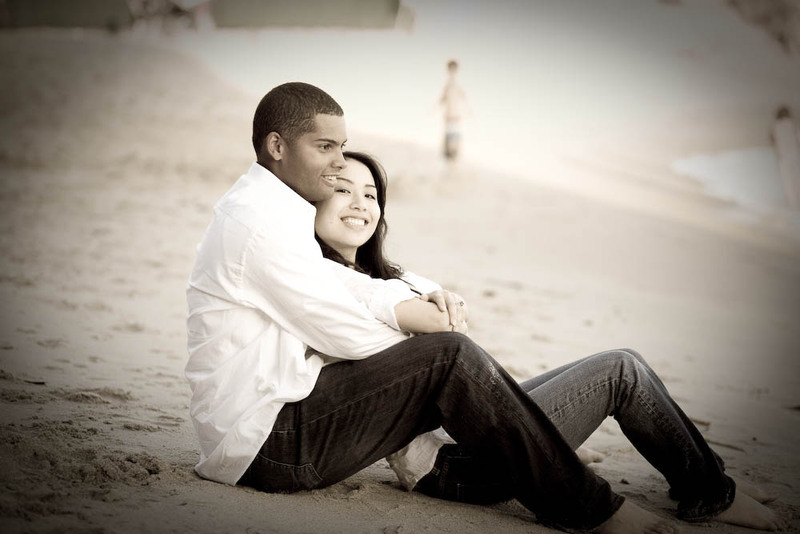 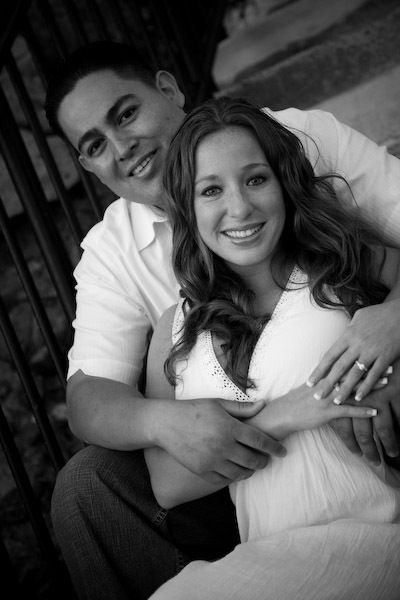 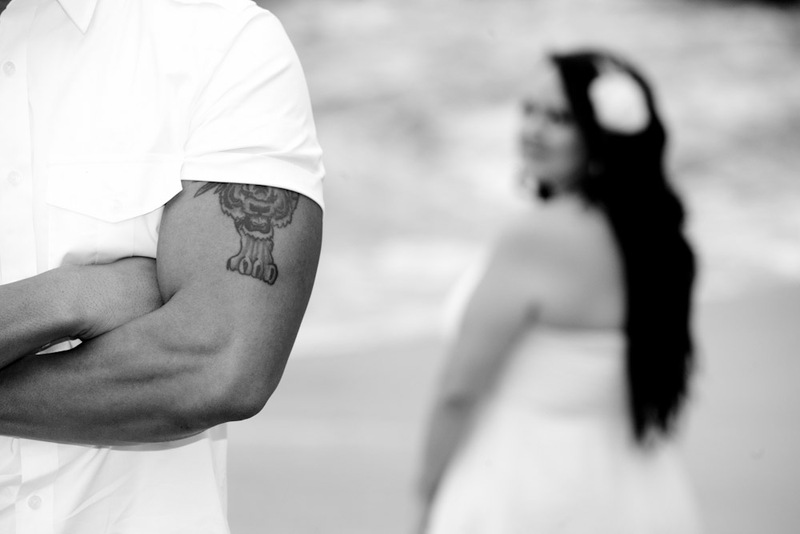 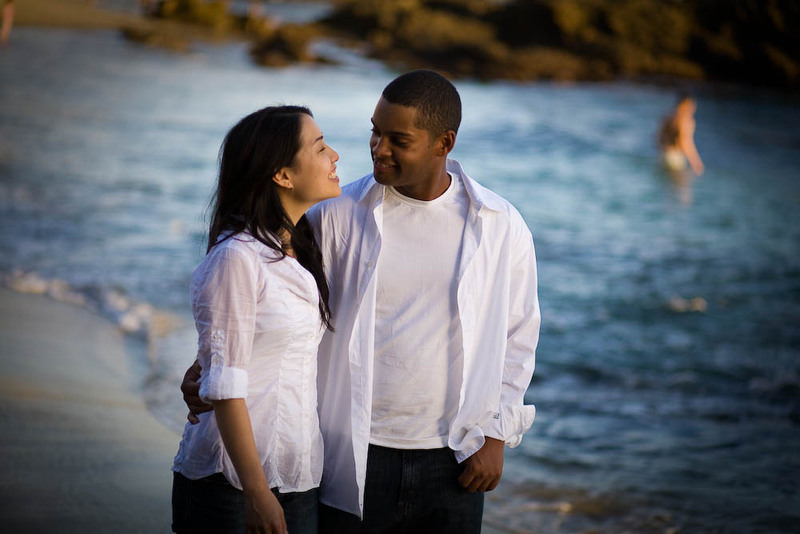 Our session began when we met at the top of the stairs at a Laguna Beach location. 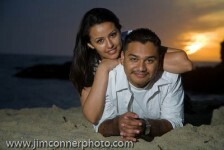 We were early enough to get some fun beach shots before the sunset. 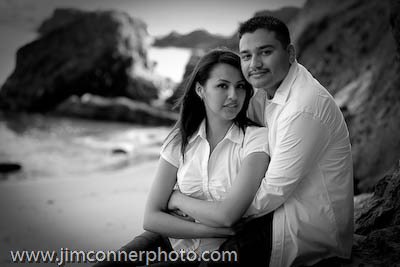 I got to try out some new equipment as well.